It didn’t take long for Paul Pogba to make an impact at Craven Cottage, scoring the game’s opener just 14 minutes in. 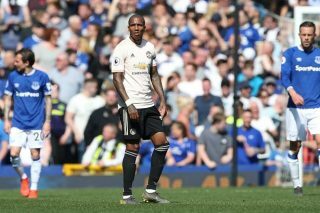 The Frenchman has been in incredible form for United the past month following Ole Gunnar Solskjaer’s arrival as caretaker manager. 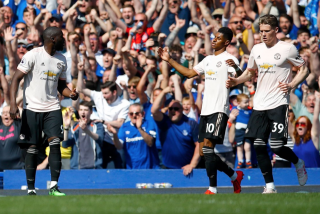 Solskjaer made six games to his starting line-up that beat Leicester City 1-0 last weekend, thanks to a Marcus Rashford goal. The England international is on the bench after picking up a dead leg against the Foxes. United were asleep at the start as the Cottagers created two chances that should have been converted. But the Reds turned the game around quickly and currently lead 2-0 after Anthony Martial doubled their lead. 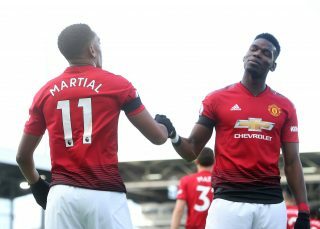 However, Pogba’s goal was his 10th in the Premier League this season, meaning he has now hit double fixtures in a league campaign for the first time of his career. The 20-time champions of England are finally seeing the world-class midfield they signed from Juventus in 2016. Pogba appeared unhappy at Old Trafford when José Mourinho was in charge, but now he’s running the show in a Red shirt, rising up the popularity ladder again with supporters.